How can the Eat Better Fruit Stand Directory benefit your Farmers Market, Fruit Stand or On Farm Market? Our Goal is to make it easy for consumers to easily find and purchase fresh locally grown fruits and vegetables. We also want to help local farmers reach a larger audience by providing Free Marketing for farmers market and fruit stand operators. We provide the following features at absolutely no cost to you. easy to use editor that allows you to easily update the following information on your page. Add Events – Market your events for free. Keep customers informed of your Special offers with the special offers section. 100% free for Farmers Markets, Fruit stands and on farm markets. 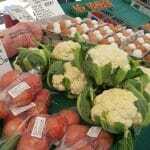 Click here to search for your farmers market. On the detail page for your market click the “Business Owner” link on the location details page. Can’t find your business? Click here to add it to the Eat Better Fruit Stand Directory and get started updating your page for free. We look forward to helping customers find you and what to support local economies which is why we offer this site for you to use for free. Free marketing for farmers markets.